The Portuguese came to trade in spices but left behind the 'Indian' red chilli for us to innovate with. The Syrian Christian community cooked up a variety of pork and other dishes that went very well with our own native idiappams, or string hoppers. The Jews of Cochin found coriander both Kosher and delicious and used it in a variety of their preparations, while the Dutch noticed that their puddings took on a whole new flavour with a pinch of fresh cinnamon. Dine at the promenade The pier overlooking Kochi’s historic harbor, is the perfect place for a romantic meal. Sunset Views Enjoy great food at dusk with a view of the Arabian Sea. 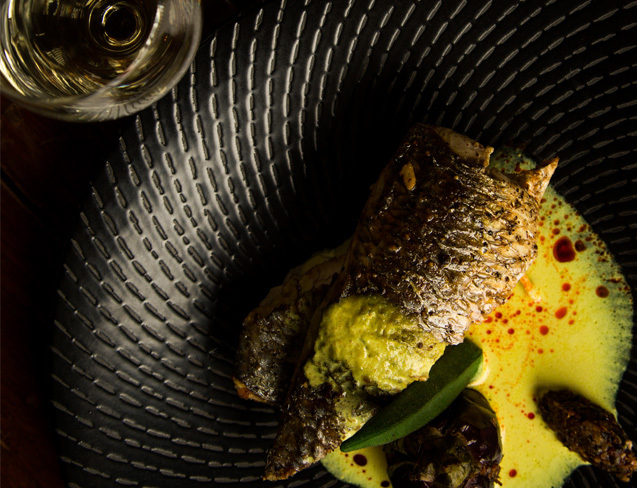 Lit Nights and Light Meals Watch Fort Kochi light up every night as you enjoy your seafood spread. Surf and Turf Open during dinner-time only, enjoy the fresh catch of the day, grilled and served the way you like it. Secrets of the Sea Brunton Boatyard’s own open-air, seafood-specialty restaurant. Dine with Arms Armoury restaurant derives its name from the way the interior walls are adorned with guns and various weaponry. Snack at Sunset Stop by in the evening for a quick snack, and sit at the waterfront watching the day end. Feast for all The cuisine is very international and includes a selection of pastas, salads and soups. Menu for the masses Armoury Restaurant opens for breakfast and serves a variety of cuisines. There’s something for everyone here. Alfresco style Snack on delicious food in the garden filled with raintrees. Fusion delights. 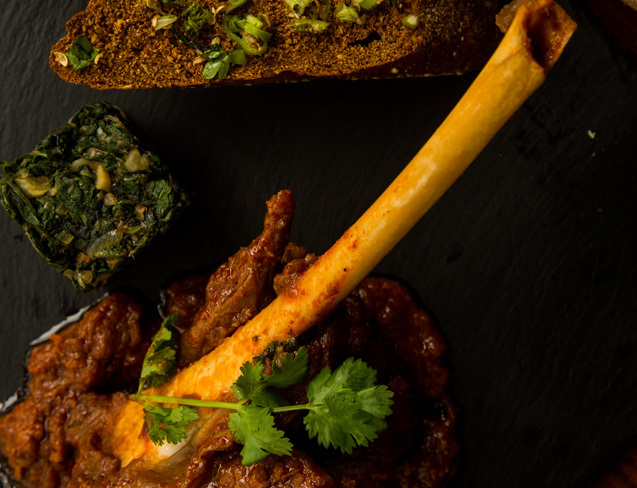 Our menu includes 32 cuisines from all the communities who have made Fort Kochi their home. Appam is a pancake made from fermented rice batter, coconut milk and sweet toddy. 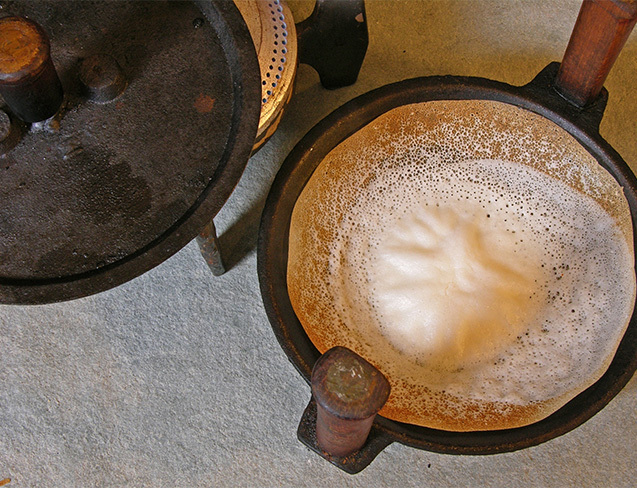 Traditionally synonymous with the Syrian Christian community, Appam is slow cooked in Clay or iron vessels with curved bottom. Another culinary delight with local overtones is the "Chuttulli Meen" , a dish pioneered by the Jewish community of Fort Kochi. This gastronomic gem will provide you with a rich reference point as you go about your conversations on culture, religion and history of the Jewish diaspora in God's own country.